16 Foods You Didn’t Know You Could Freeze with all the prep, storage, and use tips you need so you can stop wasting your food, money, and time! Whether you’re cooking for one or two, buying in bulk, experimenting with new recipes, or simply hate to see food go to waste, this list of 16 foods you didn’t know you could freeze is a must-read. Storing food appropriately saves you so much time and money and I’m guessing there’s at least one food item on this list you had absolutely no idea you could freeze. 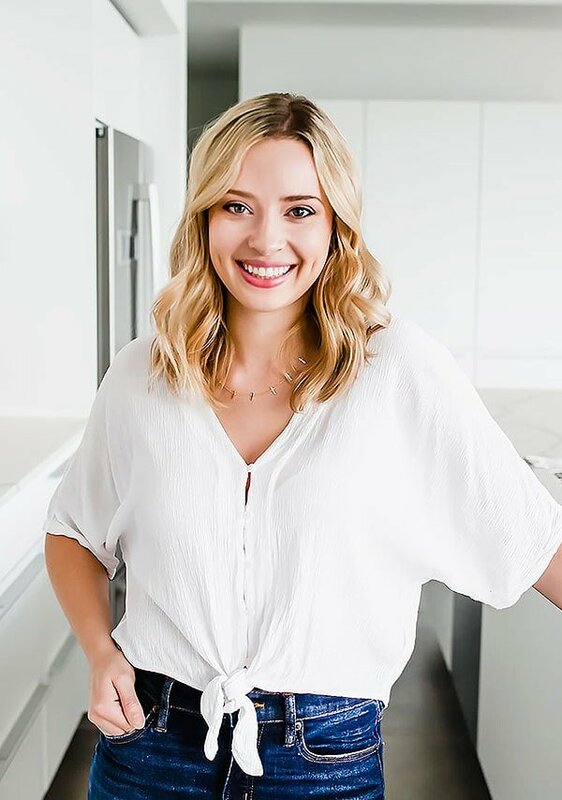 So many of you guys ask me for tips and tricks for cooking with smaller servings or avoiding food waste so hopefully you find this helpful. Even if you’re following a scaled down recipe or eat all the leftovers, there’s bound to be extra ingredients that you just can’t use up before they go bad. If you think food isn’t as good after it’s been stored, just know that every restaurant makes stuff ahead of time and either refrigerates it or freezes it and you’d never know the difference! Keep this list handy and you’ll definitely save yourself some trouble! Each food item has the freezer prep, storage, and usage listed out so there’s no guessing for you. Now it’s just a matter of actually remembering what’s in your freezer! I’ve been wanting to try out something I’m sure I saw on Pinterest which is attaching a little white board to the fridge/freezer and writing down the stuff you know you won’t remember is in there. I found a bunch of cookie dough in my freezer the other day that was a total SCORE but if I had forgotten about it for much longer it probably would have been terribly freezer burnt. 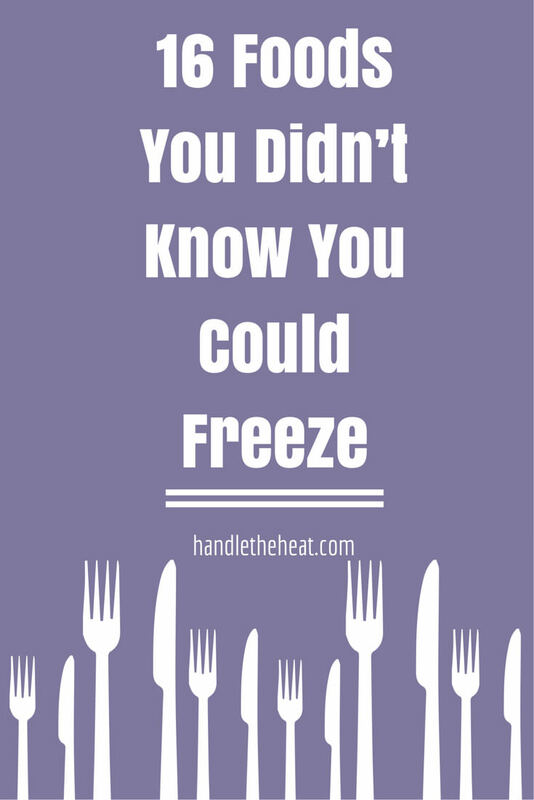 Do you make a regular habit to freeze foods? What’s always in your freezer? Peel and freeze in freezer bags. Defrost and use in muffins or bread or use for smoothies while still frozen. Defrost 1 stick at a time in the fridge. Quickly bring to temperature by cutting into small pieces, placing in a freezer bag, and pounding with a rolling pin until desired consistency. Place small paper cups on a tray and fill each with 1/2 cup buttermilk and place in freezer. Once frozen, wrap each cup in plastic and store in a freezer bag. Defrost in fridge before using. Spoon chiles with some adobo sauce onto piles on a parchment lined rimmed baking sheet and freeze. Transfer frozen chiles to a freezer bag to store. Wrap hard and semifirm cheeses tightly in plastic wrap, seal in a freezer bag, and freeze. Freeze for up to 2 months, defrost in the fridge before using. Place 1/2-teaspoon piles of zest on a plate and freeze. Remove to a freezer bag to store. Pour leftover egg whites into ice cube trays and freeze. Remove using a small knife and defrost in a small bowl. Place 2 tablespoons chopped fresh hearty herbs (not basil) in an ice cube tray and cover with water. Freeze. Once frozen, remove to a freezer bag to store. Add cubes directly to sauces, soups, or stews. Nuts should be frozen in freezer bags to avoid going rancid. Nuts can be frozen for months and require no defrosting. Portion chopped onions (use food processor to make easy work!) by 1-cup or 1/2-cup measurements into baggies and freeze. Thaw before using as normal. Place on a parchment lined cookie sheet and freeze until frozen. Store in a freezer bag and reheat in the microwave, toaster, or toasted oven. Place 1 tablespoon pesto into the wells of ice cube trays. Freeze until frozen. Remove to a freezer bag. Using a small knife, remove cubes and let defrost before using. Place cooked rice (brown rice is perfect for this) on a rimmed parchment-lined baking sheet and freeze until frozen. Remove to a freeze bag for storage. Add frozen to casseroles, soups, or fried rice. Cook a big batch of shredded chicken (be sure to use my Slow Cooker Shredded Chicken recipe and awesome trick for shredding meat in seconds here) or freeze leftovers and place in a freezer bag. Defrost before using in enchiladas, sandwiches, etc. but can be used from frozen in soups and stews. Whole grain flours go rancid quickly and should be frozen in an airtight container for long term storage. Flour can be frozen for months and can be measured frozen but should be allowed to come to room temperature before using. Measure 1 tablespoon wine into each well of ice cube tray and freeze. Using a small knife, remove cubes and add to sauces and stews. 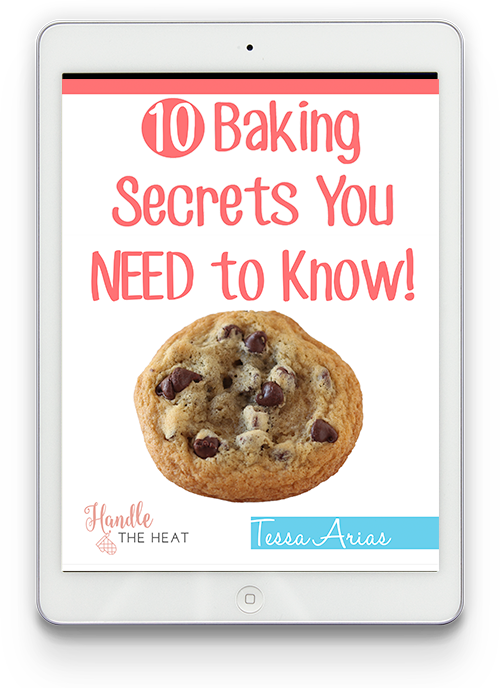 Receive my 10 Baking Secrets You NEED to Know - for free! You can also freeze milk in plastic jugs. just be sure to pour a little out of the container to allow for expansion. Great tips! Thank you! I also like to use coffee filters to separate my pancakes/waffles in the freezer…, they keep them from sticking together, they’re cheap, and they’re the perfect size! I literally just opened a can of chipotles to use one of them and was tying to figure out how not to waste the rest of the can again! Never occurred to me to freeze it. Thank you! Wow! I was not aware of all the things you could freeze. I currently freeze bananas and grapes. For grapes, I wash them then place them on a cookie sheet and stick them in a freezer. Once they are frozen I put them in a bag. This way they don’t stick together. I always have breads and rolls in my freezer. Both thaw quickly at room temperature or you can microwave for a few seconds. I’ve frozen almost all of these things. For the bananas, I usually just throw them in the freezer, peel and all. The peel turns black, but they are still fine. I usually use them to make banana bread. For the chipotle, I pureed it first, then freeze. Great list! I already freeze most of these things. Have not tried wine (we usually manage to drink it all), and I love the idea of freezing the heartier herbs. We have a ranch market that sells all sorts of bunches of fresh herbs, but I rarely get to use much before they go bad. So I will try your tip. One thing I keep in the freezer is my raw brown jasmine rice; also shredded coconut (don’t know if it needs freezing – that’s a preventative, just in case). This is a very handy post, great tips! Great tips. I also did not know that so many of these items could be frozen. Thank you sooo much! I learned the hard way that you have to peel a banana before freezing it…no one had ever told me and all I saw in recipes were “frozen bananas.” Thanks for spelling that out! This is such a helpful list! I can’t tell you how many times I’ve thrown away egg whites when I didn’t have time to use them up. Thanks for the tips! TIP: I have been freezing buttermilk for years. The best way I’ve found is to put a silicone muffin “tin” on a small baking sheet, pour the buttermilk into each well (I usually do 1/4 – 1/3 cup), and slide it into the freezer. When it’s frozen solid, it’s super easy to pop the buttermilk rounds into a ziplock bag. This method is more efficient and less expensive than freezing in plastic bags (no throwing out bags or having to label each bag). The muffin “tin” wells are bigger than ice cube tray wells and the silicone is significantly easier to bend than an ice cube tray. I bought the silicone muffin “tins” years ago and found that they are useless for actually baking. So, I repurposed them for freezing buttermilk, pesto, marinara sauce, wine, chicken broth, frosting, sauces, feta cheese (I pack it in), etc… Try it out! I forgot to mention in my comment above that I also freeze homemade baby food in silicone muffin “tins.” When my children were babies, our freezer was full of brightly colored “rounds” of baby food…sweet potatoes, green peas, mangos, carrots, etc… that were all frozen and then popped out and stored in reclosable bags.